So this is not my first cookbook review. Waaayyyy before this “Bites with Bloggers” series I had a cookbook of the month series where I would highlight (a.k.a try to use) each and every the abundance of cookbooks lining my bookshelves. I had quite the collect of cookbooks before this whole blogging journey began, but boy has the collect tripled, dare I say quadrupled, over the last four years! With most of my cookbooks in recent years being written by bloggers, naturally continuing cookbook reviews as part of the ‘bites with bloggers’ series was a no brainer. So the plan is to throw in a few of these blogger cookbook reviews here and there. I debated as to if I should just do new cookbooks, as they come out, but what would be the fun in that since there are so many great blogger cookbooks already out there. Pictures: Yes, this cookbook is filled with beautiful photos! Just like her blog and previous cookbook, this cookbook not only has photos of the final recipe, but has photos of every step of preparing the recipe. Prep Time, Cooking Time, and Number of Servings listed: Only the number of total servings is provide for each recipe. Clear, easy to follow directions and ease of preparation: Yes, all of the recipes are fairly easy to prepare and have clear directions. Plus the addition of pictures for each step help guide you along. Easily available ingredients and budget friendly: For the most part all of the ingredients are easy to find and are affordable. The only ‘specialty’ ingredient (or ingredient that might not be common for all) is the alcohol used in several recipes. Variety of recipes: This cookbook has a variety of recipes. From breakfast, lunch, soups, appetizers, pasta and pizza, dinner, side dishes, desserts and even a section on canning. Special feature: Many of the recipes include variations at the end of the recipe to change things up a bit! 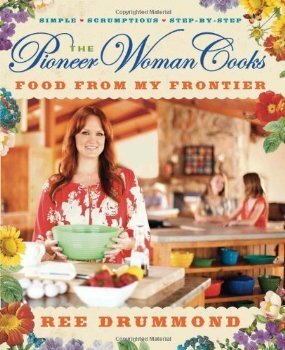 Also, not only does Ree include step-by-step photos for each recipe there are many, many photos (plus captions) of her family, ranch and life; just like her blog! Like I mentioned earlier many of the recipes use alcohol; from Peach Whiskey Chicken, to Tequila Lime Chicken to these Whiskey-Mustard Meatballs. There is just something I love about a creamy mustard sauce (like on these Honey, Mustard and Rosemary Baked Pork Chops) so it is only natural I was drawn to these meatballs. These would make for a crowd pleasing appetizer or could be served over rice or egg noodles with a side salad for a complete meal! Meanwhile, heat canola oil in a large skillet over medium high heat. Working in batches, cook meatballs for 7-9 minutes, or until cooked through. 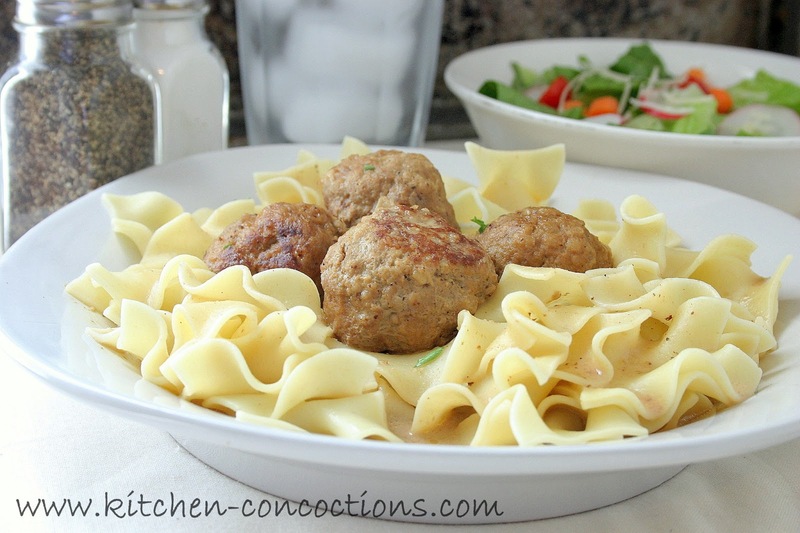 Remove cooked meatballs from pan and drain on a paper towel lined plate. Repeat with remaining meatballs until all are cooked. When all meatballs are cooked and are set aside, pour whiskey and beef broth into skillet. Allow whiskey and broth mixture to simmer for 3-4 minutes. Stir in mustard, Worcestershire sauce, heavy cream, salt and pepper. Cook whisky cream sauce for an additional 2-3 minutes. 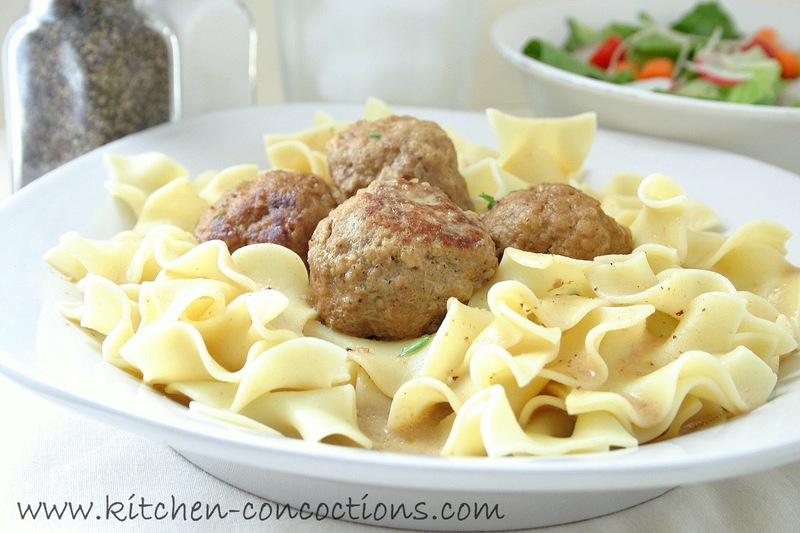 Add cooked meatballs to sauce and cook for an additional 2-3 minutes. Serve immediately as is for an appetizer or over rice or egg noodles, for a main dish if desired. I haven't checked out this second book yet, but this looks and sounds tasty and I have everything to make it!